As houses start to age, there are certain maintenance issues that need to be attended to. Examples include air condition, window seals breaking, garden maintenance with weeds growing and more. 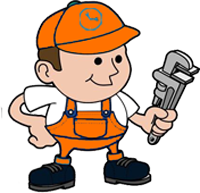 Ignoring maintenance on your home can result in very costly repairs. Often you will need a professional to come to your home to fix the damage. It is very common that people ignore maintenance on their hot water system. This can result in replacement of the system every 5-6 years. There is a solution to extend the life of your hot water system. By replacing the anode every 2 years you could almost double the life span of the system. The best part of all this is that you don’t need a plumber to replace an anode. You can do it yourself. I know what you are thinking… what is an anode? An anode is the long metal rod that runs from the top of the how water system to the bottom. Using this method, you will save about $300 + the cost of a new hot water system every 10 years + a whole lot of headache. Not bad! 1.Turn off the water going into the tank and also turn off the power supply for the tank. 3.Use a socket wrench to remove the existing anode. 4.Install the new anode. Its recommended to wrap Teflon tape around the threads of the new anode. Be sure to tighten it with the socket wrench. In four easy steps, you have just saved yourself hundreds of dollars for not much fuss. Be sure to tell your friends and family about this little trick so they too can save money!